By now you’re probably used to seeing Wusthof knives with classic black riveted handles, but their Epicure Series of kitchen knives are definitely a step above. The handles are still a full tang riveted design, but instead of black synthetic scales, the Epicure knives feature recycled wood material. 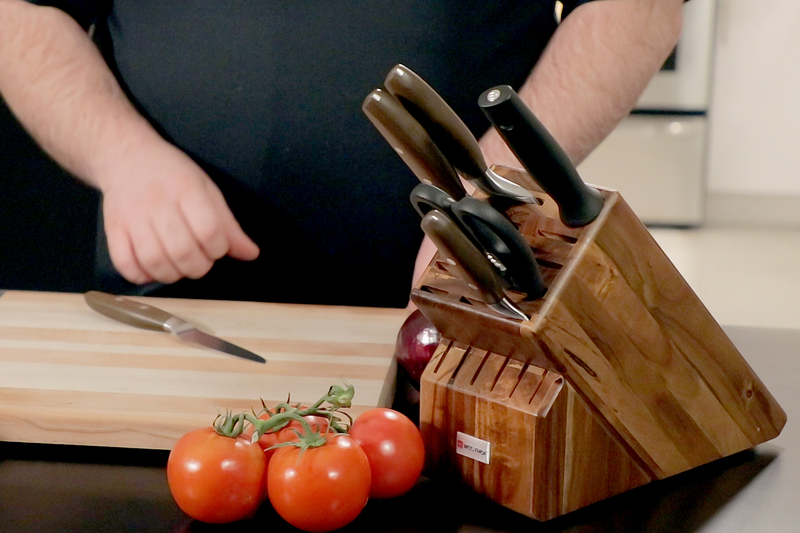 In fact, this is the same material that Epicurean uses for their cutting boards. What that means for you is a definite upgrade, not just in the feel, but the performance as well. 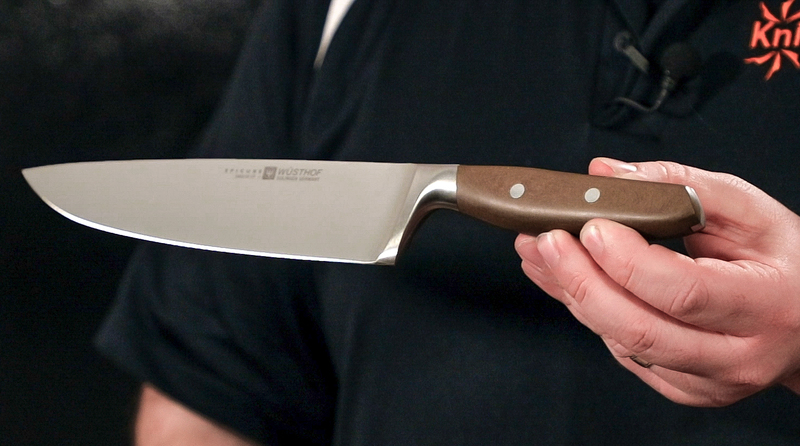 We’re going to break down everything about these stellar kitchen knives and tell you why you need these in your kitchen. Because this material is very similar to paper Micarta, it feels very natural in the hand and actually starts to feel a little bit grippier when it is wet. Wusthof didn’t just slap on these handles and call it a day. They’ve actually completely redesigned the way their handles function. In terms of a production kitchen knife, the handles are among the best we’ve ever felt – extremely comfortable and very well balanced. What sets these handles apart from the flat black contemporaries is the way they are contoured. There’s a nice swell from the top and it curves very nicely across the bottom for a natural grip. Like most German cooking knives out there, this is a full tang design with an integrated bolster but the handle material actually wraps around the front of the tang, making a completely uninterrupted surface that is very smooth and feels very comfortable. We also like the way they’ve radiused the area around the bolster, removing any hard edges to ensure there are no hot spots. That’s a detail you just don’t usually see on kitchen knives, regardless of price. Of course, you can get these in all your classic kitchen staples including chef knives, paring and bread knives, utility knives, steak knives and more (shop the whole series here). 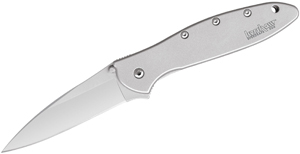 The smaller knives in the series don’t lose any of that magic in the handle in the transition to the smaller size. Universally, they are extremely comfortable, index very well in the hand, and are extremely comfortable no matter what position you hold it in. Where these knives differ from a lot of their German contemporaries and actually take a little bit of inspiration from their Asian counterparts is with the edge bevel itself. The edges are sharpened to a 14-degree bevel, which is a little bit steeper than the traditional German knives, making these cut even better. Furthermore, Wusthof has treated the blades with a clear ceramic coating. Even though they are already made with stainless steel, the coatng will boost the corrosion resistance a little bit more. 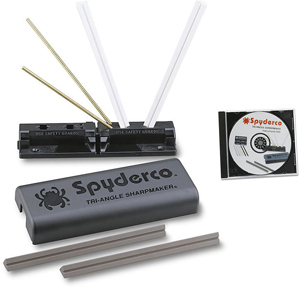 It will also help protect the blade from scratches while making food glide off even easier. While you can certainly buy these knives individually, you can also get a very nice block set that comes with everything you need right out of the box. They’ve even upped the materials on the block by building it with acacia wood, which has a more dramatic look than a traditional blonde colored block. 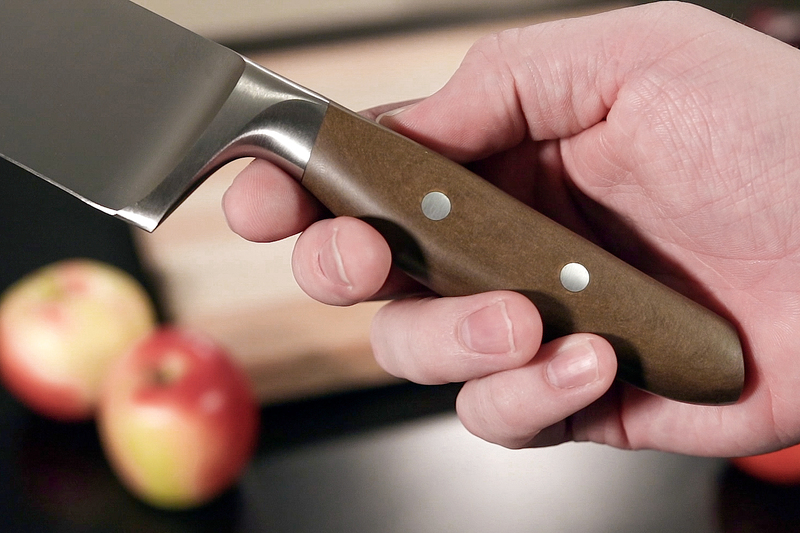 It actually complements the handles of the Epicure knives very well. The block even comes with a few extra slots so you can have space for some of your existing knives as well as steak knife slots that will fit the beautiful Epicure steak knives in this series. 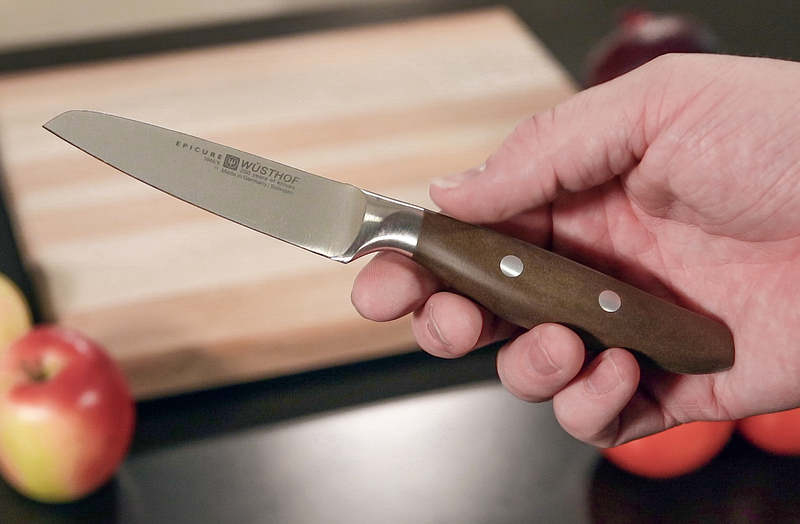 Overall these Epicure knives from Wusthof are a nice upgrade in their lineup. If you are still on the fence, one thing you may want to keep in mind is they are actually eco-conscious in a way some of their other knives aren’t. Acacia is a very fast growing hardwood, so their use of that material for the block is a great choice, and that eco-friendly material in the handles is sustainable in a way that the black plastic ones simply can’t be. 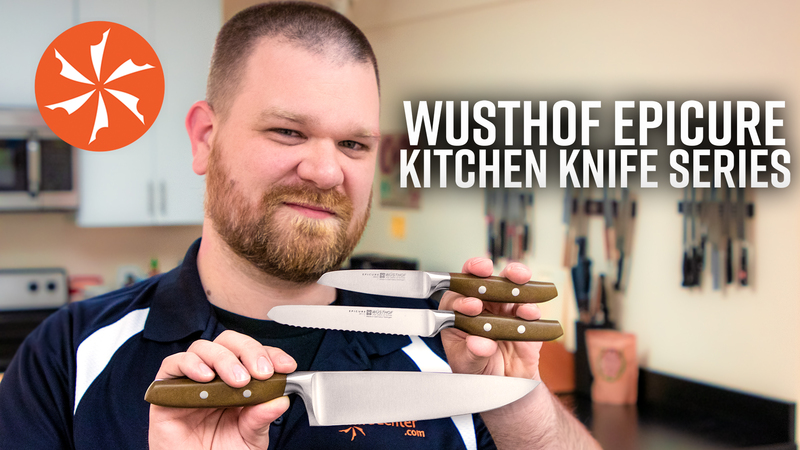 If you want to get your hands on any of these Wusthof Epicure kitchen knives, shop the whole series here. 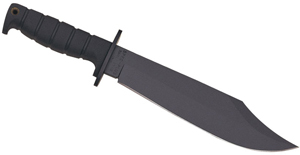 David C. Andersen is Knife Center's resident writer, video star, and knife designer. He began his career in the knife industry as a writer for The Truth About Knives before launching Nordsmith Knives, channeling his passion for cutlery into new and original knife designs. He spends his days at the Knife Center exploring our warehouse looking for new and interesting things to share with our audience. His evenings with his wife are spent cooking, working on prototypes for new Nordsmith designs, and dreaming of his next camping trip. Very nice review! How do the ergonomics of the handle compare to the classic models? Thanks Kammi! In my opinion, there is no comparison. The Wusthof Classics are fine knives but the Epicure handles are simply sublime and are contoured to fit the hands very well.